From a “mere” 93 million miles away we’re able to view the surface of our home star the Sun very well with telescopes on Earth and in space…you can even observe large sunspots with your unaided eye (with proper protection, of course.) But the surface details of other stars tens, hundreds, or thousands of light-years away can’t be so easily resolved from Earth. The details are just too fine and get lost in the brilliance of the stars themselves. But astronomers have now produced the best image yet of the surface of another star beyond our Solar System. Using the European Southern Observatory’s Very Large Telescope Interferometer, located on a high plateau in Chile’s Atacama Desert where the sky is some of the clearest and driest in the world, a team of scientists have mapped the movement of material in the atmosphere of Antares, a red supergiant star 700 times the size of our Sun that shines brightly in the heart of the constellation Scorpius. 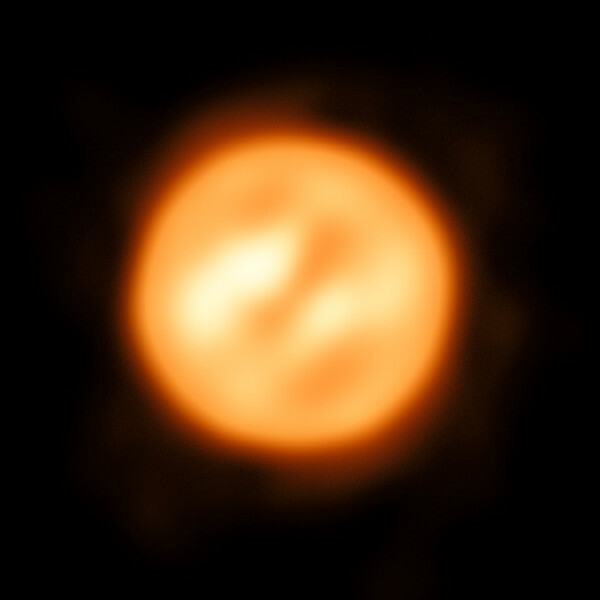 The observations enabled them to determine how material moves through Antares’ atmosphere and then construct an image of the star itself—the most accurate representation of another star besides the Sun. 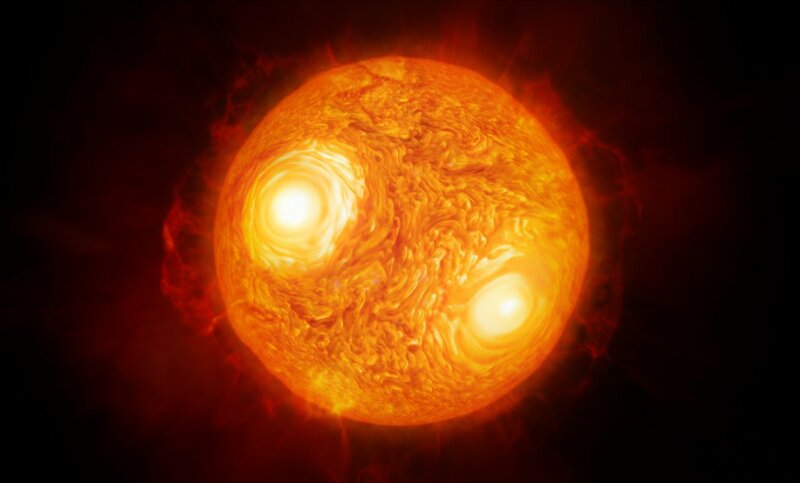 The image above is an artist’s representation of Antares based on the team’s observations; the image below is a reconstruction based directly on the imaging data. The technique could be used for other stars as well, allowing for many more portraits of our distant stellar neighbors. Source/read more from ESO here. My wife and I visited the Atacama desert in several locations, 2016. An unworldly place that, in some places, is the closest approximation to Mars on earth.